After the coast-to-coast success of NaturAlmond’s line of Almond Butters, sold nationally at The Fresh Market and Sprouts Farmers Markets as well as regionally in Whole Foods, Kroger and hundreds of specialty gourmet shops, company owner Jaime Foster has launched a line of handcrafted peanut butters under the newly created Georgia Grinders brand. 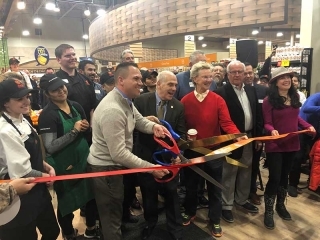 The Georgia Grinders Peanut Butters, which are available in creamy and crunchy versions, began production this month and were picked up by regional Whole Foods, Sprouts Farmers Markets and Central Market grocery stores and many gourmet food markets in Georgia, North Carolina, Alabama and Florida. The 12-oz. glass jars of Georgia Grinders Peanut Butter will be available on shelves beginning in January at all of these retailers. Georgia Grinders Peanut Butters are made with two ingredients—non-GMO Georgia-grown peanuts and sea salt. The peanuts are hand selected, slow roasted and then ground to a signature texture for the new line. 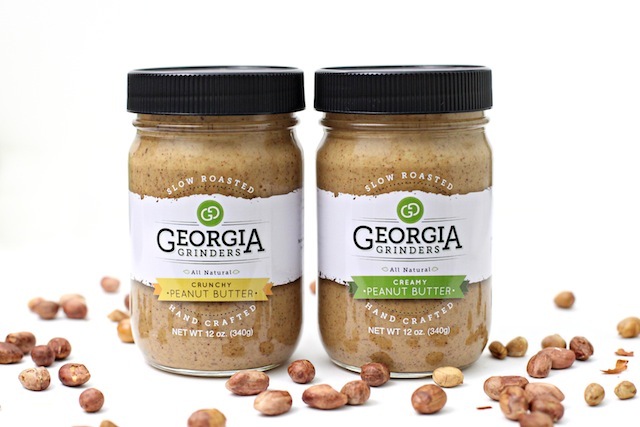 Georgia Grinders Peanut Butter will retail for $5.99-$6.99. To avoid any potential cross-contamination with the expansion of the company’s product offerings, Foster created a separate production facility for Georgia Grinders. With the rising number of peanut allergies, Foster wanted to ensure that the NaturAlmond facility was a completely “peanut-free” zone.